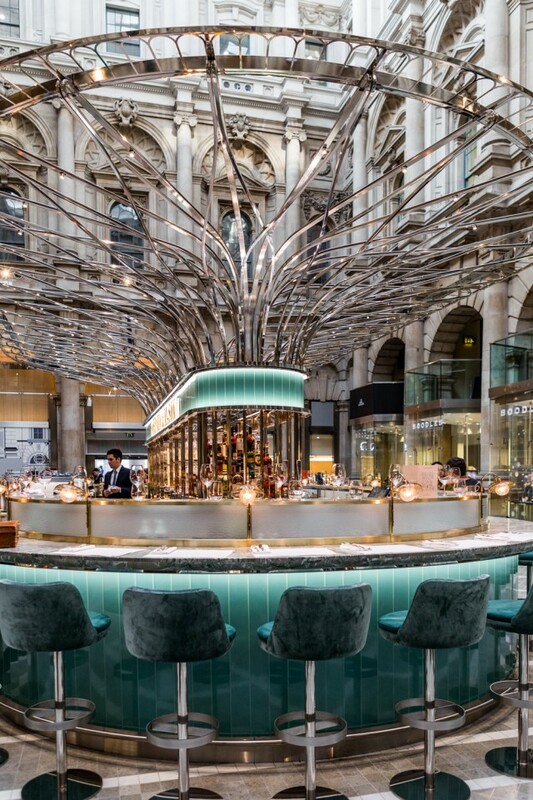 The Royal Exchange was founded by the merchant Thomas Gresham in 1571, although fire damage has necessitated the occasional rebuilding: the ‘modern’ Royal Exchange dates back to 1844. 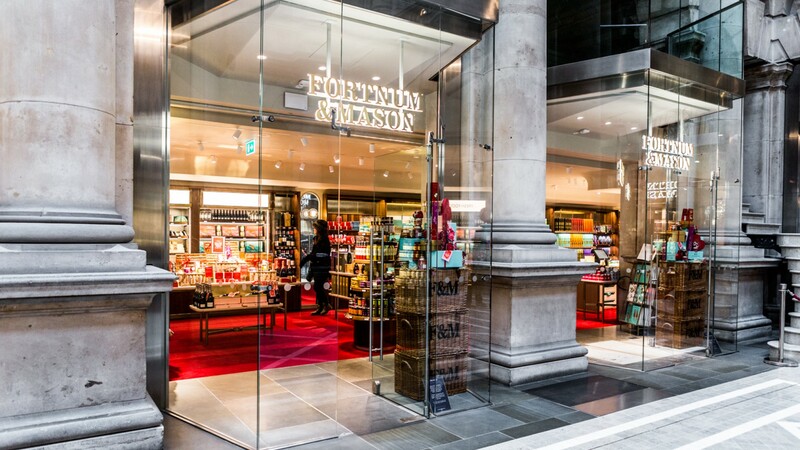 Fortnum & Mason first opened its doors 1707, initially as a grocery store. 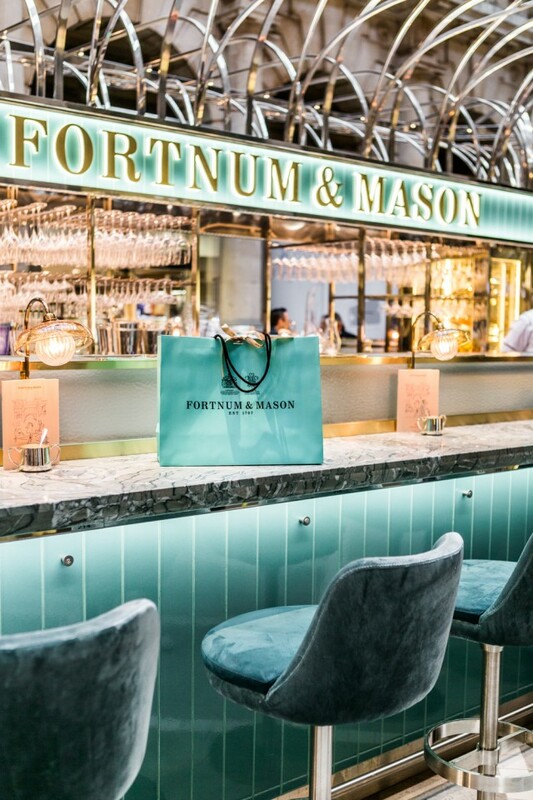 It quickly broadened its remit, but quality food remains the Fortnum’s USP. 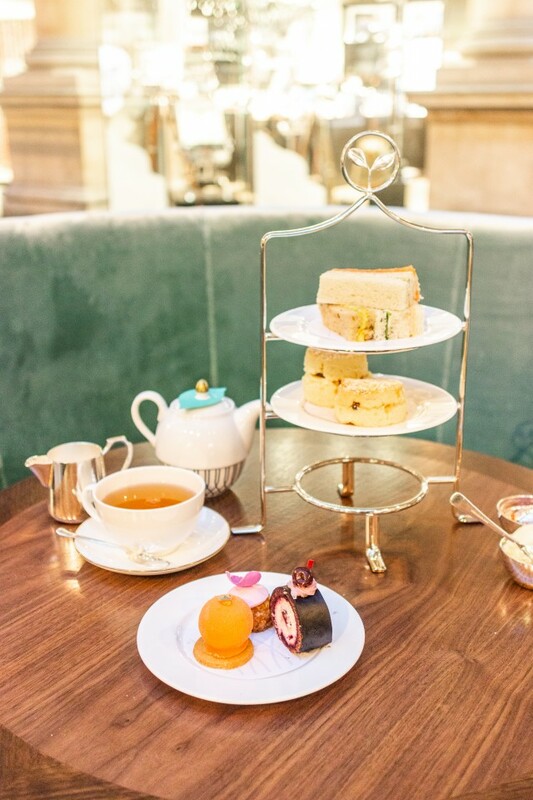 While Samuel Pepys mentions tea in an 1660 diary entry, the concept of Afternoon Tea didn’t take off until the 1830s, when the Duchess of Bedford started inviting her mates round for a cuppa and a chinwag. 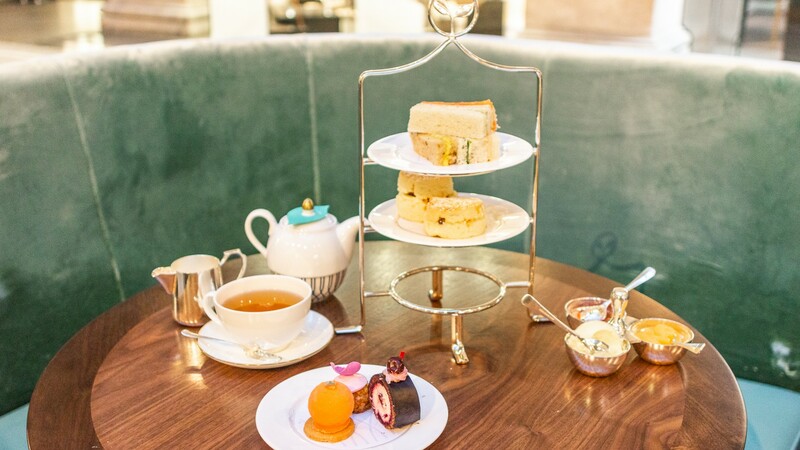 So it’s worth bearing in mind that, when you sit down to Fortnum’s afternoon tea at the Royal Exchange, you are enjoying a 190-year-old concept, served up by a 312-year-old department store, within the 174-year-old incarnation of a 448-year-old institution. Don’t worry: the food tastes considerably fresher than its storied heritage. 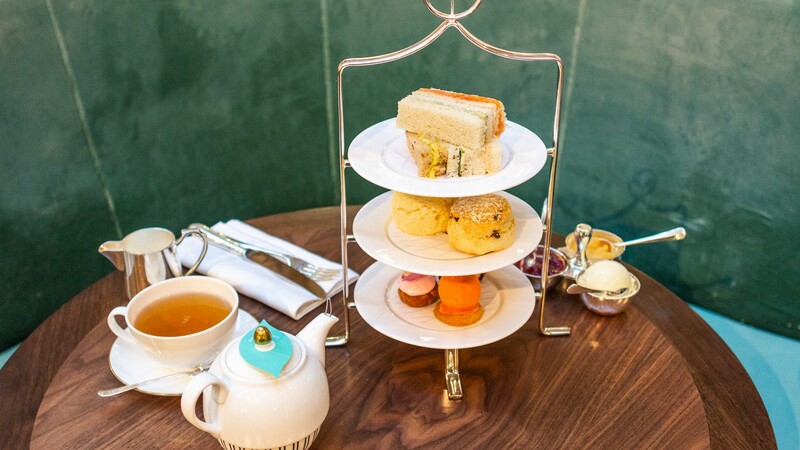 Indeed, it’s something of a trailblazer, marking the first time the Fortnum’s afternoon tea has been available outside the confines of its Piccadilly store. 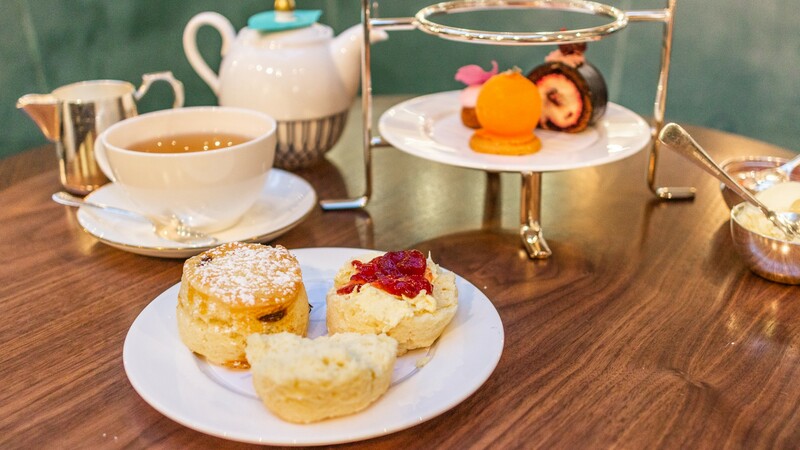 I take my mum, because if I’m ever going to take my mum on a work outing then it might as well be Fortnum & Mason’s afternoon tea. She backseat reviews throughout, to the extent I decide to relinquish control and let her basically write the thing. Well, ‘dictate the thing’ – I’m still required to do the grunt work, such as telling you that the food is served in a three-tiered cake stand, with sandwiches on the top plate, scones in the middle, and, well, cakes at the bottom. Delightful. Tea, meanwhile, can be ordered from a variety of strains – I opt for Earl Grey but I’m a traditionalist – and the teapot has a little metallic strainer in its spout, a discovery that pushes mother to the brink of cardiac arrest, such is her excitement. Eventually she calms down and starts on the actual food. “The cucumber sandwich is wonderful,” she tells me. “It deserves a special mention. It's very lightly pickled, like a really delicate gherkin.” She later stops the waitress to share her enjoyment of the cucumber sandwich. I think she likes the cucumber sandwich more than her husband, and quite possibly her son. 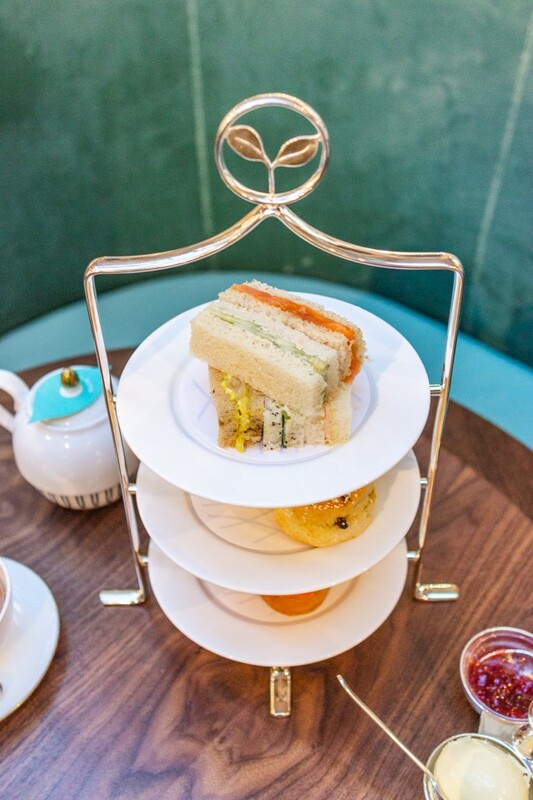 Once we’ve polished off the “very superior plate of sandwiches” we descend a rung to the scones – which come with miniature bowls of lemon curd, strawberry jam and clotted cream. ("The lemon curd is nice, but everyone knows clotted cream is the only acceptable topping for a scone.") Still warm, despite our tarrying on the top tier – indeed, you might be wise to start with the scones. Get ‘em while they’re hot and all that. We both enjoy the scones immensely, although Mum insists she could have made even better ones. This claim tells you little about the overall scone quality, and a lot about my mother’s opinion of her baking skills. Mary Berry and Willy Wonka could join forces to create a cake made out of literal happiness – a cake that brings about world peace, because how can violence coexist with something so divine? – and Mum would still secretly believe she could whisk up its equal. The patisseries reside on the bottom floor. Mum declares, “the red velvet cake is as good as possible for a cake of its sort. If you like that sort of thing you'll like this sort of thing.” Yet, there’s also a biscuit, and the biscuit trumps the teapot strainer as the ‘Moment Of The Afternoon In Which I’m Worried My Mother Might Be About To Suffer Some Form Of Minor Stroke’. The biscuit, you see, has a little glazed sphere atop it, and when you break this sphere open you discover a cream-like filling within. Mum likes this. A lot. “It’s so exciting!” she repeats, as though Fortnum’s has just discovered fire rather than done something clever with icing sugar. And with that she toddles happily into the Fortnum's store opposite to buy my dad a Valentine's present. I'm left to fetch our coats.